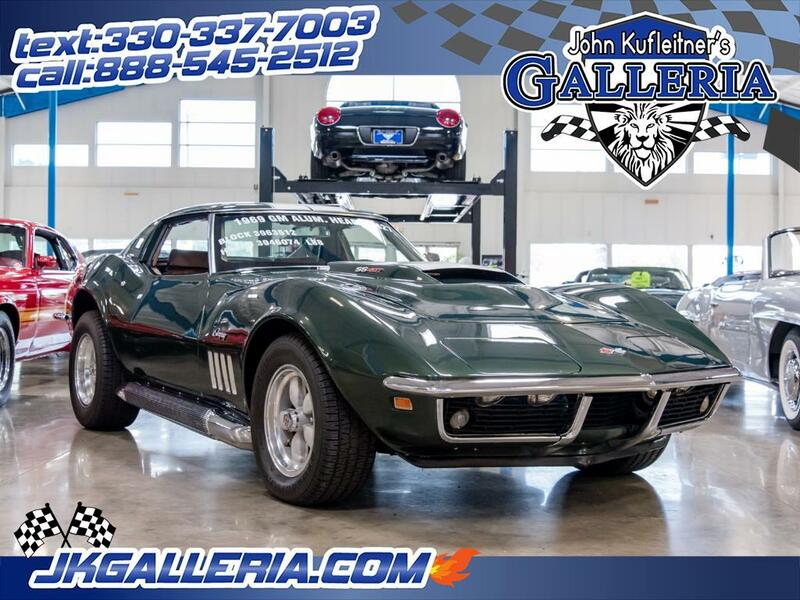 This 1969 Chevrolet Corvette L88 Baldwin-Motion tribute not only looks the part of the ultimate intimidator, but it has a very good reason to carry the legendary name. Baldwin-Motion is mentioned in the same breath as Yenko or Nickey in the Chevrolet communities. This hallowed performance car name only produced a handful of originals, which means buying one today will require forgoing a large estate home, and make you nervous every time it leaves the garage. So the obvious solution is the Corvette you see here. This 1969 Stingray carries the iconic striping package, and scooped big block hood that came from ordering your Corvette through Motion Performance via Baldwin Chevrolet. Plus, the correct Cragar wheels with Motion Performance center caps are a great touch. Even those who don't recognize these hallmarks will quiver at the large side exhaust pipes, racer fuel filler cap, and super-slick green paint. Nothing matches up better on a dark green car than a saddle tan interior. It's the kind of timeless color combination that looks both period-correct, and fits in with more modern times. The whole package is exceptionally tidy, which is a good thing because there will be plenty of people checking out the inside of this t-top as you go for a bit of wind-in-your-hair cruising. In fact, you'll be able to enjoy plenty of time in the driver's seat thanks to comfortable features such as the three-spoke tilt wheel, vinyl bucket seats, original-style AM/FM radio, power windows, and power steering. But what you really want to know about is what's going on under the hood. The monster 427 cubic-inch V8 carries its Motion Performance components proudly because there is evidence that this motor originally went through the hands of the New York-based tuner. Today the big block has been built to L88-spec, but because this is a Baldwin-Motion tribute, it includes extra goodies such as the Edelbrock cross-ram intake. The sum of all the performance parts has this very special Corvette. Of course power is nothing without control. That's why this one allows you stay in the optimal power band for as long as you want with a performance four-speed manual transmission. Also, there's plenty of stopping and cornering ability on tap thanks to four-wheel disc brakes and wide modern BF Goodrich T/A radials. Even without its pedigree, this Corvette is one mean machine. Your heart will skip a beat every time the ferocious exhaust fires up in your garage. This Stingray comes with all the admiration of a hallowed classic American muscle nameplate, and more importantly, there's no stress when you want to go out and have a little fun.